You just won first prize for a Minted challenge! You are going to be rolling in the money, right? Every platform has its success stories. But most artists on any platform aren’t rolling in the dough. And in fact, many of these platforms are basically requiring artists to do spec work. And artists do it hoping they will be one of the few that leverage the platform to fame and fortune. The terms and conditions of entering a Minted challenge aren’t quite as egregious as the VIDA ones. But you should enter them with caution for three important reasons. What artwork can you submit? You have the broadest leeway on what artwork you can submit because it’s tied to if your artwork has been “physically” used. The terms of service use the examples of books or magazines, but this could also include prints, cards, or other things you can hold in your hand. What stationery designs and other designs can you submit? The first one is the real kicker. 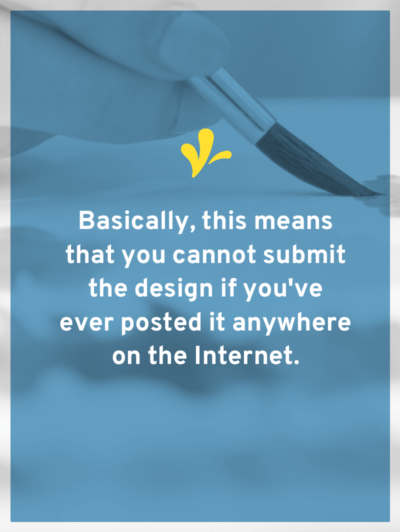 Basically, this clause means that you cannot submit the design if you’ve ever posted it anywhere on the Internet. Which likely means you have to create something specifically for the challenge. Sure, you could dig through your archives and find something. But if it’s sitting in your archives and you haven’t done anything with it, it might be in your archives for a reason. 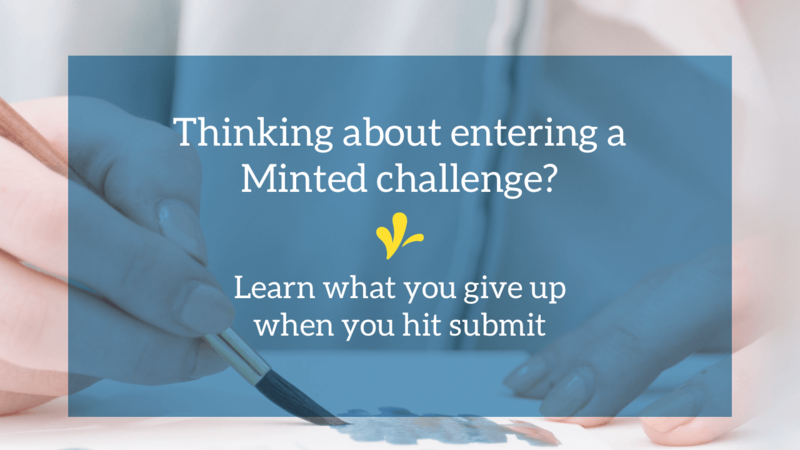 Once you submit your design for the Minted challenge, you cannot do anything with it for 90 days after the submission deadline. 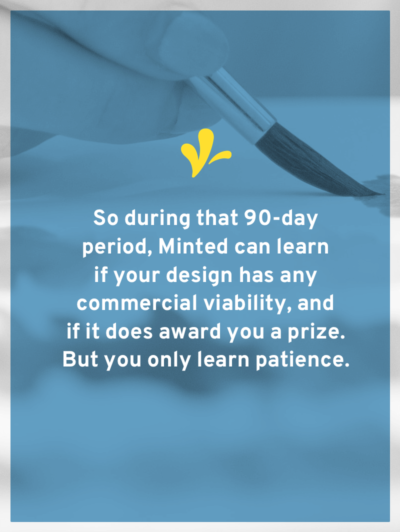 So during that 90-day period, Minted can learn if your design has any commercial viability, and if it does award you a prize. But you only learn patience. Congrats! 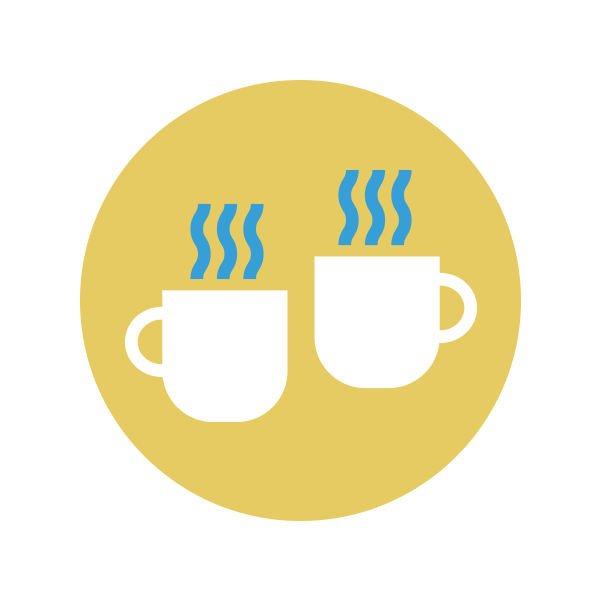 You win one of the dozens of prizes that Minted awards for each of their challenges. But what does that really mean you have to give up? What rights do you still have in your winning entry? The reason that Minted maintains exclusivity on all winning pieces (via a license in art and ownership in other categories) is that Minted awards cash prizes upfront, with no guarantee that the piece will sell. 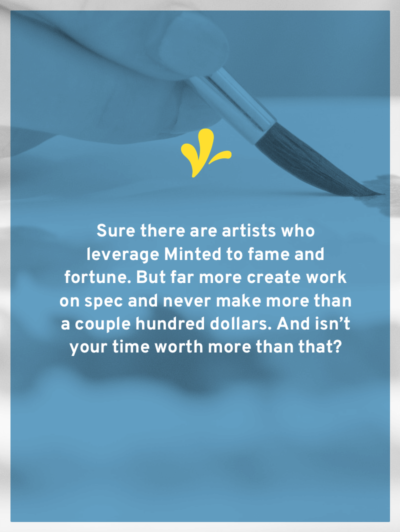 This means that Minted takes great financial risk, but it allows us to bring designers and artists into the marketplace who could not otherwise do so on their own. 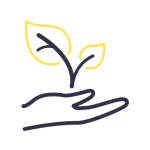 We invest in the prize money and in the time required to publish a piece to the site, so in return, we must ensure that the product is available exclusively on Minted. Personally, I find this crazy and I can’t believe more people haven’t called them out on it. If an exclusive license is okay for artwork, why isn’t it for designs? I don’t really buy the argument that they need copyright ownership in the dozens of designs that win each challenge. (Some challenges it looks like as many as 50 designs could win.) And winning doesn’t mean that they ever will produce your design. In fact, they are under no obligation to use your design if you win a prize according to their terms. I don’t really buy the argument that they need copyright ownership in the dozens of designs that win each challenge. This argument falls even further apart when you dig into the artwork terms and conditions. Because if Minted stops selling your artwork on a Limited Edition basis (either by choice or because the Limited Editions sell out), then their license converts to a non-exclusive license. So once again, I don’t see why they can’t have an exclusive license for designs and get the same benefits. What money will you make? 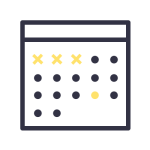 The first thing you’ll get is your cash prize, but not for 90 days. And you have to give them the high-resolution files and anything else they request first. Then if they choose to put your submission into production, you’ll earn a commission. This commission is earned on products sold that “wholly incorporate” your submission. 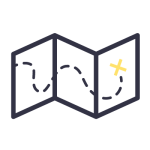 Your commission varies from product to product but matches the amounts in the kit that came with the challenge you won. Once again, like with VIDA you’ll be paid on quarterly basis. And you have no rights to understand how your commissions are calculated. It’s up to their discretion. Nor can you audit Minted’s books if anything seems fishy. And you have no rights to understand how your commissions are calculated. It’s up to their discretion. Nor can you audit Minted’s books if anything seems fishy. And to top it all off, there is no way that you can ever end the relationship. 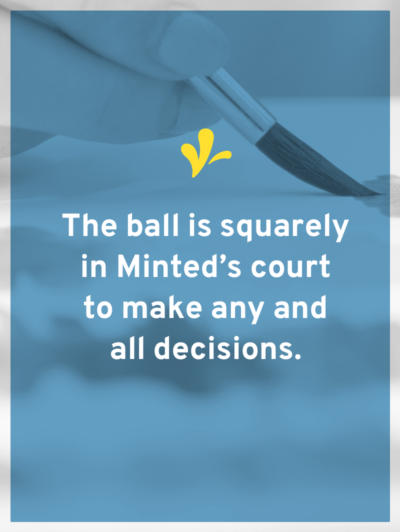 The ball is squarely in Minted’s court to make any and all decisions. 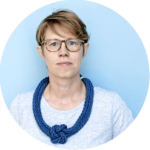 You give up significant rights in your designs by entering the challenge. And you never can raise a peep if they stop using your designs or if you think they are shorting you on your commissions. With the artwork challenges, I’m on the fence if they are an all-out rights-grab. Because if Minted doesn’t sell Limited Edition prints, then you rights in your work return to you. But they are getting rights far above and beyond what they need. Because they get an exclusive license for all product categories, even though they aren’t capable of producing products in every category. The second reason I’m on the fence is because of the nuance in the artwork photography contract about what happens if they decide to put your artwork on a stationery product (spoiler alert: you give up the copyright in the stationery product). Ultimately, I lean towards the fact that the artwork contract is a rights-grab. With the design and stationery designs, I’m squarely in the rights-grab camp. Many stationery designs are only going to work on a card. So the fact they are getting rights for all product categories doesn’t rub me the wrong way. Because stationery designs often cannot be reproduced on a wide variety of products. But what about the designer who wins a couple hundred bucks and never gets her card made? Or only gets a handful of them made? She created a design specifically for the challenge, won a couple hundred bucks, and gave up her copyright. Basically, she’s SOL because she submitted it to the challenge and it won. It’s situations like that that fall into the rights-grab category. Because Minted is never going to print another card run, they have given up on the viability of that design. But the designer might be able to find an audience for it, but she can’t because she doesn’t own the copyright. Because Minted is never going to print another card run, they have given up on the viability of that design. So when might it make sense to design for a Minted challenge? If that’s the case, then trying your hand at a couple challenges might make sense. You’ll be able to see what is and isn’t working in the market. You’ll be able to hone your style. And you’ll maybe make a couple hundred dollars. But if that’s not the case, then entering anything that you could monetize is a gamble. Because if you end up winning a prize, but it doesn’t sell well on Minted, then you are SOL. And you can never use that design on your site. And you probably made less money than if you’d produced it yourself. Here I think you’ve got more flexibility on when it makes sense. And that’s because you aren’t giving up the whole kit and caboodle when you win a prize. If Minted never sells Limited Editions, then you give them a non-exclusive license. And you can try to monetize your artwork in other ways. But you still run the risk of them sitting on Limited Editions that for a significant amount of time. Personally, I wouldn’t enter into a Minted challenge. Sure there are artists who leverage Minted to fame and fortune. But far more create work on spec and never make more than a couple hundred dollars. And isn’t your time worth more than that? 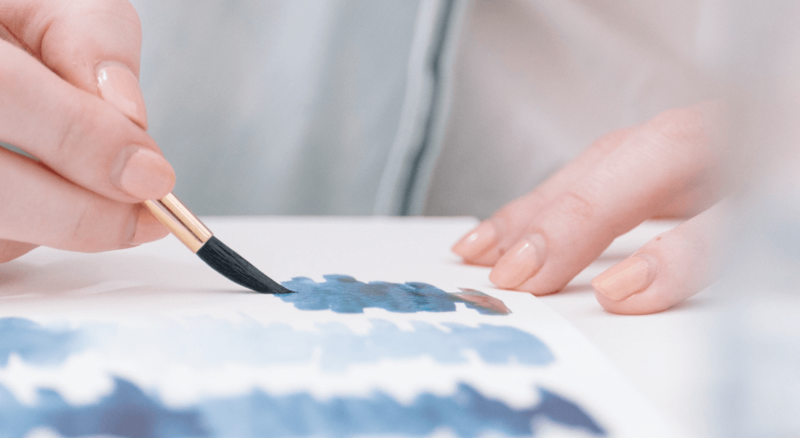 Want to know exactly what each of the Minted terms and conditions say? Paid members of the artist’s Courtyard legal resource library can read a clause-by-clause breakdown of all three of Minted’s Terms and Conditions. 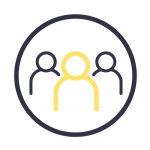 Learn more about membership here. 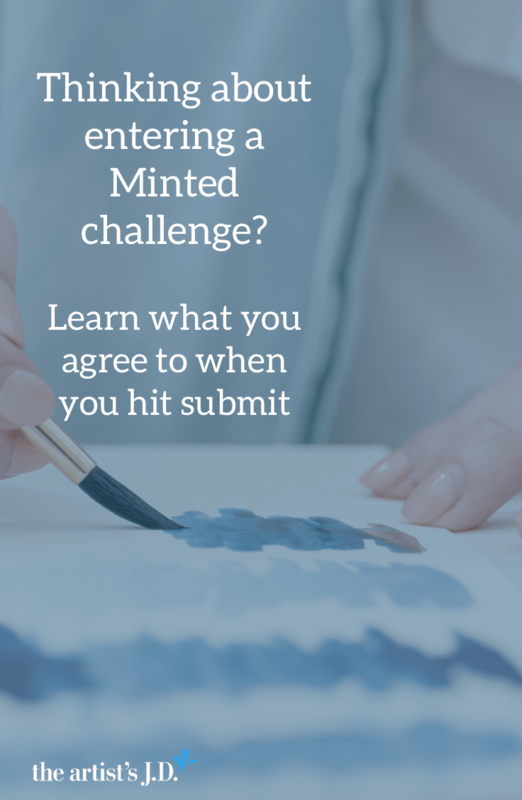 After reading my concerns would you enter a Minted challenge? If so, why? If not, what was the term that bothered you the most?